Simple sentences compare and contrast neat, Felix Unger type Jasper with his best friend, a slovenly Oscar Maddix type. Illustrations make clear that even when they say the same thing, their reactions are opposite. For example, "Jasper jumps over the puddle. 'Too wet,' he says." 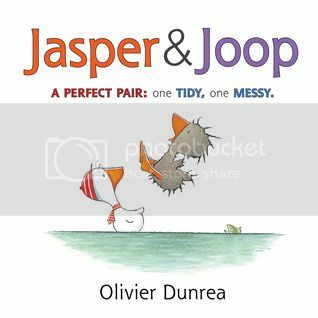 readers see Jasper smartly hopping over the puddle with nary a feather out of place. "Joop splashes into the puddle. 'TOO wet!' he honks." with his wings and legs akimbo, gleefully splashing about. A nice gentle adventure for young readers, the book's small size is perfect for tiny hands. This story takes sibling jealousy head on with a British sensibility. Ruby is sick of her little brother Oliver taking up all of her mother's time. Playing with the dog, Rory, isn't enough to distract her. She dreams up ways to get rid of Oliver even imagining a "Yard Sale. A nice squashy baby in full working order. A bit noisy, but quiets down when given some brown mush to eat. 50c Good Price." After finally getting some quality time with mom, once Oliver's been fed, they pretend to go to the moon, and Ruby gets a story read to her. After the baby is finally put down for a nap, Ruby decides that maybe the baby isn't so bad after all. Endpages feature cute baby toys. 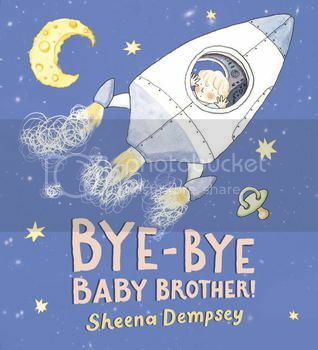 This book offers a tender and sweet story for any growing family. 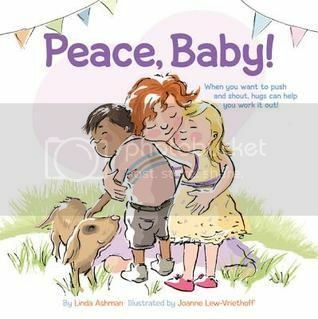 A diverse group of kids in a wide variety of situations each find something to fight about, but resolve things with the repeating phrase, "Peace, baby." This is a great conflict resolution book to add to your library. Light but colorful digital illustrations retain the feel of pen and ink. Celebratory banners decorate the endpages. Strong anti-violence/anti-war message in this book, created in collaboration with Mexican artists. 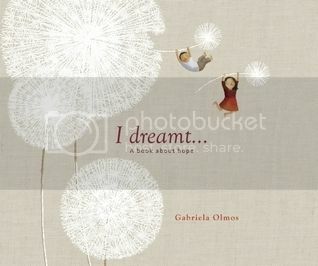 Red endpapers feature dried dandelion puffs (as if to make a wish for peace.) A fairly heavy message, which gets a bit dark at times, "I dreamt of pistols that shoot butterflies... and of drug lords who only sell soap bubbles." Varying typefaces in different sizes and colors lend emphasis to the poetic dream images and unite the diverse artistic styles employed. Profits from this book will go to the International Board on Books for Young People for Children in Crisis.